Skylight Harvest algae production system. 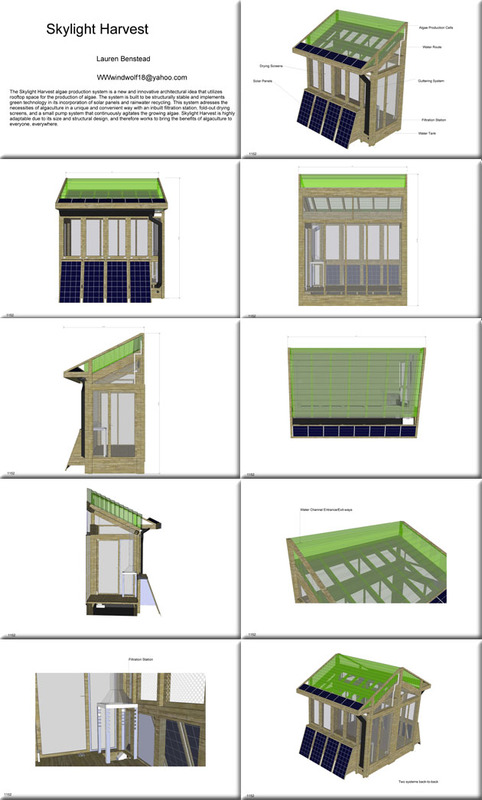 Utilizes rooftop space incorporating solar panels, rainwater recycling, filtration station, fold-out drying screens, and a small pump system that agitates the growing algae. Highly adaptable due to its size and structural design, and offers the benefits of algaculture to everyone, everywhere. For more information about this entry, contact the author. email: wwwindwolf18@yahoo.com.